KABUL, Afghanistan – Survivors of the Taliban attack on Kabul’s Intercontinental Hotel recounted on Monday the ordeal of the deadly, 13-hours-long weekend standoff that claimed 18 lives, including 14 foreigners. Mohammad Humayun Shams, the telecommunications director of eastern Laghman province who was visiting Kabul and staying at the hotel, said he was able to escape by jumping into a tree form a hotel window as the attackers roamed the hallways, killing people. “It was the worst night of my life,” Shams said, adding that as he ran, he didn’t know who were the police and who were the Taliban – they all had the same type of uniforms. Afghan authorities have not confirmed the attackers wore police uniforms. Security officials said 34 provincial officials were at the hotel for a conference organized by the Telecommunication Ministry. On Monday, Afghan security forces remained positioned on all the roads leading to the hotel, barring everyone from access to the area. 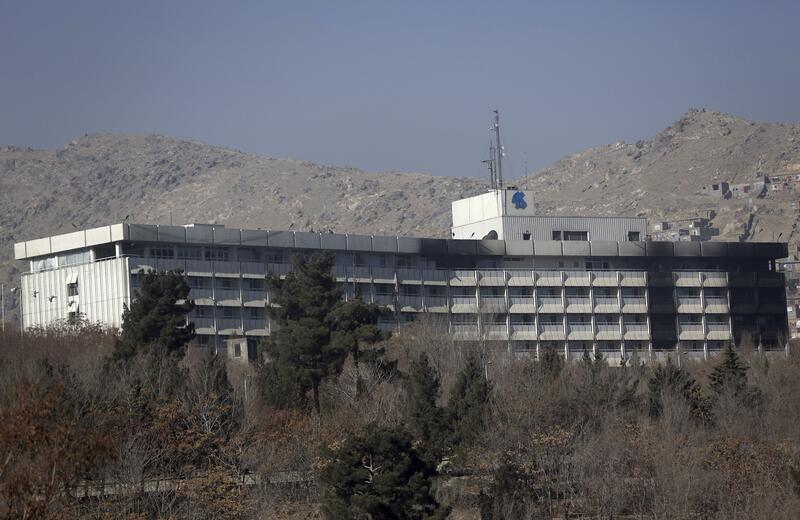 Jawad Zia, the director at the Kabul Intercontinental, which is not part of the InterContinental chain, said dozens of the hotel rooms were damaged in the attack. “We have damaged rooms in each floor of the hotel,” he told the Associated Press over the phone. Among Afghans killed in the attack was a telecommunications official from western Farah province; Waheed Poyan, Afghanistan’s newly appointed consul general to the Pakistani city of Karachi; and Ahmad Farzan, an employee of the High Peace Council, a commission created to facilitate peace talks between the Afghan government and the Taliban and other opposition groups. “I am still in shock … in fact can’t believe I am alive,” he added. Published: Jan. 22, 2018, 8:22 a.m.